Stairway has a long tradition of communicating issues of high urgency through theatre, starting with the production of “Goldtooth, A Street Children’s Musical” back in 1999. Since then, theatre has played a significant role in 2 aspects of our work, namely the therapeutic process of rehabilitation, as well as the more outward aspect of creative advocacy. After nearly a year of planning, preparations and practice, Stairway’s theatre rendition of The Lorax premiered April 22nd, Earth Day, 2014. 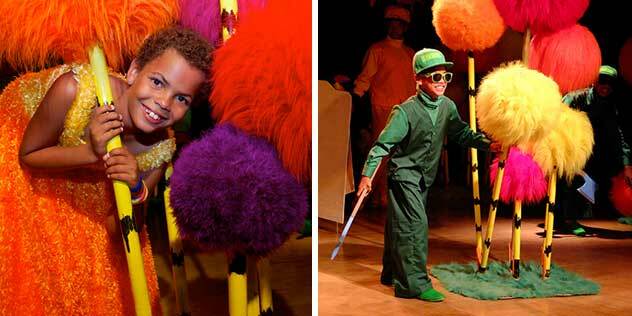 The play is based on the environmental classic by renowned children’s book author, Dr. Seuss, and it is performed by the Stairway children under direction of Monica Ray. In 2014, the Lorax played for hundreds of children, youth and adults from Puerto Galera, and a large number of tourists visiting the area. 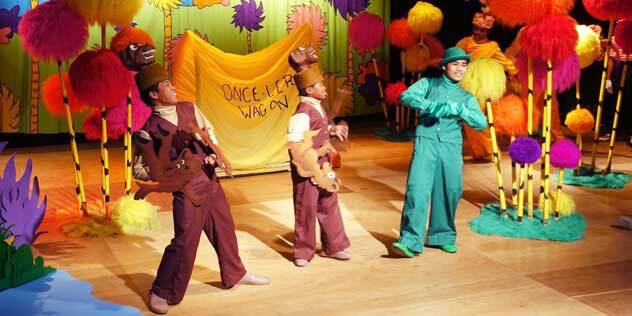 The director had created a backdrop very true to the illustrations of the book with bright colors and wonderful imaginary creatures, and the Stairway children put in enormous effort to deliver a performance of high quality, which resulted in a unique theater experience provoking smiles and laughter, as well as deeper reflections upon the serious message the play conveys. Performances are always followed by a talk with the young audiences on their interpretation of the play and how they see the message relate to their own immediate situation. Our challenge running the Lorax is that the actors change with every new batch of children graduating from Stairway’s Family Home Program. It enhances the therapeutic value of the play, but it puts a limit to the number of performance we can set up in a year.